Dr. Frank R. Burroughs Historical Home. 408 W Main St, Ritzville, 99169. Phone: 509-659-0698. Fax: 509-659-0274. Long unoccupied, and even threatened with demolition, Dr. Frank R. Burroughs' home is now preserved as a museum of early Adams County life. The story goes that a medical emergency called Dr. Frank R. Burroughs off the train in Ritzville in 1888. The good doctor liked what he saw, and never got back on the train. Burroughs was active in the community, serving on the city council and library board, and also as mayor and postmaster. His immediate family line ended with the death of his only child in 1923. 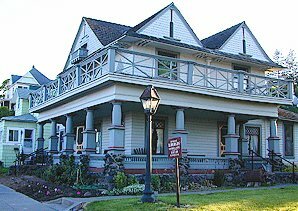 A nephew bequeathed the house to the city of Ritzville in 1962. 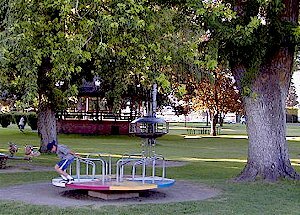 Visitors can soak up the recreated ambience of middle-class gentility and industriousness that characterized Ritzville life. In the doctor's office you can find the original records, including births, house calls, and fees. The old gazebo peaks out from its lush park setting. Located adjacent to the park, the pool is open daily in summer.